After the foundation walls have cured the first step in rough framing is installing sill plates. Sill plates are 2×6 or 2×8 pressure treated lumber that is laid on its flat side along the top perimeter of the foundation wall. Often a second layer of kiln dried, similar sized lumber, is installed on top of the pressure treated lumber. Prior to installing the pressure treated sill plate lumber a foam insulation material is placed on top of the concrete foundation. The foam insulation helps to ensure an air tight seal between the bottom of the sill plate and the top of the foundation wall. Installing sill plates involves fastening them down to the foundation walls with either metal straps or anchor bolts that are imbedded into the concrete foundation. The type of fastener used for installing the sill plates depends upon your local building code. Installing sill plates requires precision and care. It’s important that the sill plates be straight and square, regardless if the foundations walls are not perfectly square. It’s also just important that the sill plates rest fully on top of the foundation walls. A good rough carpenter should be able to do this, even with slightly un-square foundation walls. To aid in the installation of sill plates use a chalk line and snap lines on the larger square portion of the foundation walls, typically the main portion of the house. Snap a line on either the back or front side of the large square, followed by another on one side of the large square. Measure the snapped lines and use the 3-4-5 triangle method to determine if the large square foundation area is actually square. You only need to measure 3 feet on one line and 4 feet on the other adjacent line. At these points mark them with a pencil. Then use your tape measure to see if the diagonal between the two marks measures 5 feet. If it does, then you know the two adjacent walls are square. If they are not they you’ll need to adjust the placement of your sill plates to make them square. Again, you can use the 3-4-5 triangle method to see if the sill plates are square. Once you’ve squared up these two pair of orthogonal lines you can work from them to make the other walls square. You just need to make sure adjacent and opposite walls are parallel or perpendicular to the walls you’ve determined/made square. 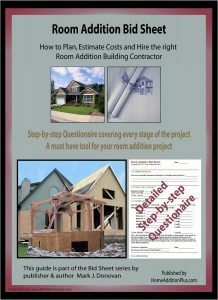 If your house or home addition plans include the use of house siding on it, then you’ll want to install the sill plates so that they are flush with the outside edge of the foundation walls. You’ll need to drill holes in the sill plates where the anchor bolts protrude out of the foundation wall. If there are anchor straps then you’ll just need to fold them over so that the sill plates can rest flat on the foundation walls. 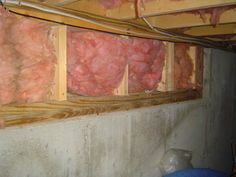 You’ll also need to install the foam insulation on the wall just prior to placing the sill plates. Once you’ve placed the foam insulation down and drilled the holes for the anchor bolts place the sill plates onto the foundation wall. Then use washers and nuts to securely fasten the sill plate to the foundation wall. Again, you’ll probably need to place a second layer of kiln dried sill plates onto the pressure treated sill plates prior to securing the two layer sill plates with the washers and nuts.